In 1996, Ferrari replaced their flagship mid-engined Testarossa / 512 TR / 512 M series with the 550 Maranello. The 550 signaled a historic return to a front-engine/rear transaxle configuration that was last seen on the legendary 365 GTB/4 Daytona 25 years earlier, and this layout delivered a more comfortable and spacious interior when compared to the car’s mid-engined predecessor. The Ferrari 550’s 485 hp, 5.5-liter V-12 delivered tremendous performance as evidenced by a 0-60 time in the low 4-second range, and a top speed of close to 200 mph. Best of all, this performance seemed almost effortless thanks to power steering, a comfortable driving position, and an abundance of torque available from the engine at lower rpm. Ferrari built 3,083 550 Maranellos from 1996 through 2001, all with 6-speed manual gearboxes. In 2000, the company also built 448 examples of a 550 “Barchetta” convertible that had a simple canvas top for those that wanted an open-air driving experience as well as even more exclusivity than the coupe. Factory options were minimal, with an especially appealing one being “Daytona” style multi-colored seats inspired by those from the early 365 GTB/4. In 2002, the Ferrari 575 M Maranello was introduced. The car further evolved the stunning 550 Maranello design, with a revised front end and a new interior. Most importantly, the 550’s engine was increased in size to 5.75 liters, and power jumped to a hefty 515 hp. The 575 also had adaptive suspension and an optional F1 style transmission to improve driving dynamics and shift times. Approximately 2,100 Ferrari 575M Maranellos were produced between 2002 and 2006, at which point Ferrari’s 599 GTB Fiorano picked up the GT torch. 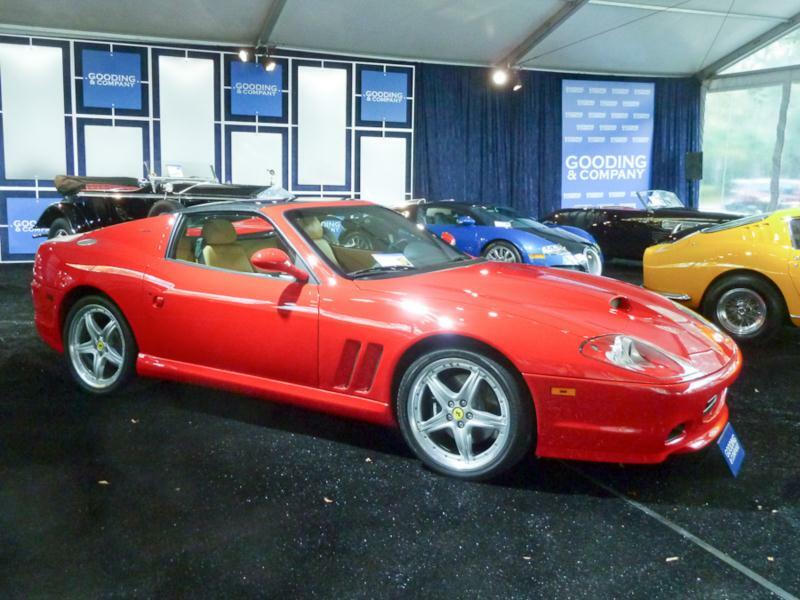 The Ferrari 550 and 575 have proven to be remarkably trouble free as far as late-model exotic cars go, with some of the only potential problem areas being minor electrical issues, premature wear of cooling hoses, and, for the 550, some partial failures of engine mounts that was later corrected in the 575. Engine work, including the replacement of timing belts, can be performed with the engine remaining in the car, which helps keep some of Ferrari’s notorious upkeep costs in check. The cars also provide a thoroughly modern interpretation of the classic Ferrari GT.